Join ScribbleLive at 11 a.m. EDT on March 11th, as we gather some of the top digital thinkers in sports media to share the experiences and lessons they’ve acquired over the years of running some of the biggest digital projects in online sports. We’ve gathered some of the top digital thinkers in sports media to share the experiences and lessons they’ve acquired over the years running some of the biggest digital projects in online sports. During this one-hour chat, we’ll cover how to engage fans before, during and after the game as well as best practices for driving participation. Our panelists will discuss major trends in online coverage as well as the fundamentals of creating sports content with an impact. Among self-identified devoted sports fan, 45% prefer online sports, compared to 33% who prefer televised content. 66% of devoted fans go online at least once per day for sports related reasons. 30% of all fans say most of their time online with sports sites is spent reading content versus watching online video. 52% of all sports fans use a tablet or smartphone to access sports content while watching televised sports. Men aged 35-44 use mobile devices to access sports content on their mobile devices while watching televised sports 10% more than all other gender and age segments. 50% of female sports fans aged 25-34 access sports content online while watching non-sports related television. 72% of sports fans are most engaged by exciting pre-game content. In the social media realm, 35% of 18-34 year-olds frequently or very frequently use social media to share sports related content or videos. 36% of sports fans say they are more likely to be interested in a brand that sponsors or advertises around sports. 70% of sports fans who like or follow a brand online say they’re open to sharing brand content, buying goods, or engaging with social posts. Vision Critical recently engaged 1,000 sports fans about their relationships with their favorite teams, along with their propensity to switch teams over time. Their goal was to further understand the unique dynamics of sports fan engagement and how their loyalty impacts key business and revenue drivers. Most fans have a favorite team. Fan satisfaction could be improved with each particular team. There are fans who are not loyal to a single team, but are “ﬂoaters”. 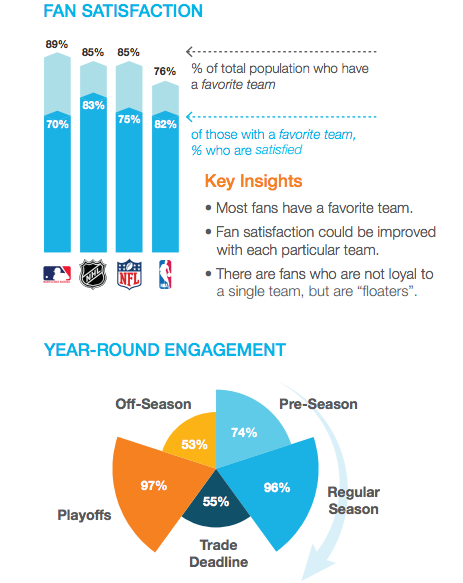 Fans are not fully engaged year-round. There’s an opportunity to optimize marketing portfolios to interact with fans and ensure their ongoing loyalty. Read the full infographic here. What are the stale trends out there? What do you wish would just go away? For us right now, we're trying to find a way to help people filter out the noise on Twitter and social. So much of the conversation on and around sports is happening on social media platforms. What is the best way we can guide and inform the conversation? 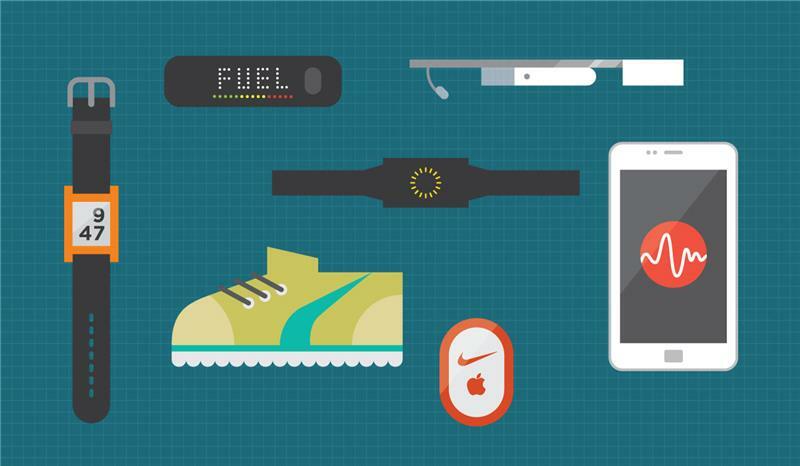 The Boston Globe attended the MIT Sloan Sports Analytics Conference and found 'wearable technology and how the technology and data being poured into each respective sport' among the dominant themes. Boston.comPower brokers in the NFL, NBA, NHL, Major League Baseball, and soccer are all present for this weeks MIT Sloan Sports Analytics Conference at the Hynes Convention Center. Last question for everyone before we throw it open to the audience. How do you guys measure your reader and fan engagement. What hard metrics do you use to know what is working? Time spent is our measuring stick. Our barometer is the reach of our content. Sure, it's RTs and likes, but when it's getting quoted in articles and spoken about on TV, then you know you're being successful. Every kind of analytics. Will look at it all. Website traffic, retweets, mentions, followers gained, Facebook insights. It all gets taken into consideration. Thanks everyone for that last answer! Belinda and I are now going to open the floor up to some audience questions. Here we go! I'm not directly, or indirectly, honestly, involved in that project. But we want to create a one-stop shop for people to find what they need and want. For me, I try to inject as much of my personality into my reporting/tweeting etc. without getting myself into any trouble. I think it helps readers connect with me, and my feeling is that if you follow me on Twitter or read my writing, you have a pretty good idea of the things I like, the stuff that makes me laugh and the things I find most interesting. Pictures, videos and giving people information they can't get anywhere else goes along way. For example, just spotted Pat Riley and he said LeBron told him an hour ago he would have the game of his life. As we discussed before, any inside, behind-the-scenes type content or anything that *most* fans even don't see. I'd also say at least from a team's account POV, the team account can have some fun with positive moments, get creative, and as the official team account, that tends to get some attention. Some teams for example have used exciting moments as an opportunity to be funny, for example. Timed right, that can definitely go viral. Be less corporate, be more fun. That's what people go to sport events for, isn't it? To have fun. We must make sure our platforms reflect that. Good answers everyone! Thanks to Ben, Dan, Matthew, BJ, Marc and Craig for taking part in today's online panel. Have a great week!